Steevenson, 20, is smart. He finished at the top of his class last year and excels in just about every subject at school. His calm demeanor and friendliness have also made him a natural leader among his classmates, though he is one of the youngest in this year’s Philo class (13th grade). Yet Steevenson’s success in the classroom has not been the result of an easy life. When he was very young, Steevenson’s parents separated and he went to live with his dad in Carrefour, just southwest of Port Au Prince. Steevenson’s success in the classroom has not been the result of an easy life. Only a few years later, when Steevenson was 8, his dad died. He was sent back to his mom in Source Matelas, who was already struggling to raise younger children. After several months, she decided the best future she could give him would be in an orphanage. For the next six years, Steevenson grew up in a local orphanage—a place he said had a good influence on him. It was while living at the orphanage that Steevenson, whose father had practiced voodoo, put his faith in God. At age 16, Steevenson decided he wanted to go home to live with his mom. “I didn’t want it to be too late to build a relationship with her.” Though they had lost touch, the director helped find his mom so he could return to her. Since moving home in 2012, Steevenson has found life to be more difficult because his mom doesn’t have stable work, and they have “nothing.” But he still believes it’s important for him to stay with her. 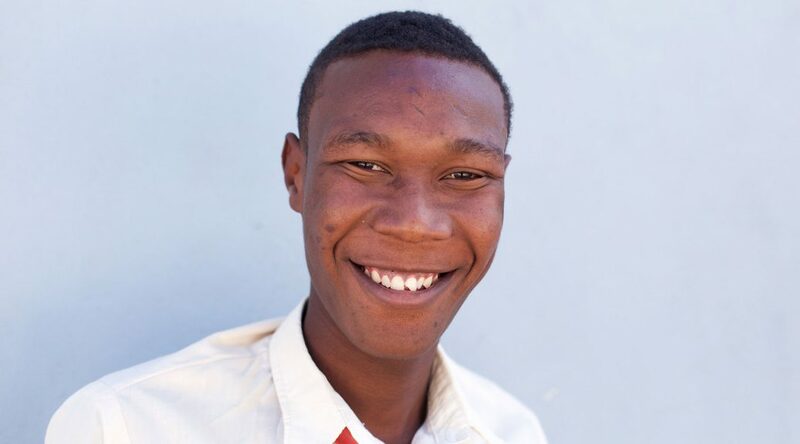 He is thankful for Grace Emmanuel School because his family couldn’t afford any other school in the area. Steevenson has many dreams, and he can list them off in order. First, he would like to continue to study math and physics and become a teacher for upper-level classes or at a university. After all this is finished, he would like to have a family—but only after he can provide for them.